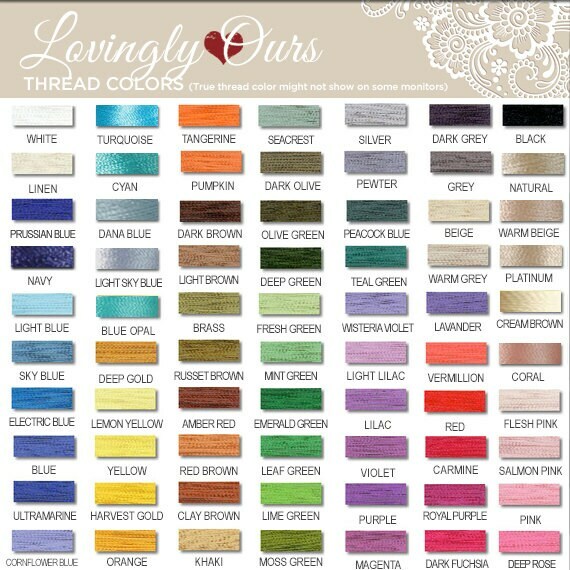 Free shipping to United States with $270 purchase from LovinglyOurs. See item details below for sale terms. Great wedding gift! 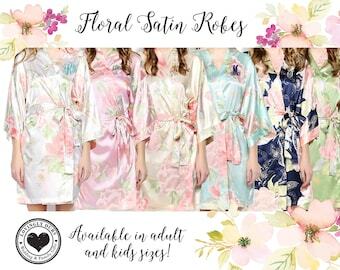 Trendy floral satin kimono robes for the bride and her bridal party - these lightweight floral satin robes can be personalized with name, initial or monogram that the bride and her bridesmaids can use while preparing for the wedding. 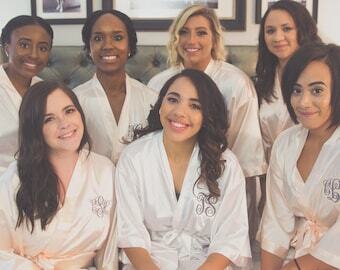 It's definitely something that everyone will be able to use for years after the wedding. Packed in a special gift box featuring the front embroidery, ready to give. Also a great gift for the Mother of the Bride, Mother of the Groom and Flower Girls! 1. Date you need your order. Please note that processing time is 2-3 weeks. However, send us a message through etsy or custom order if you need your order sooner. 2. Color of the robes and sizes. You can choose different combination of colors for your set. For the chart and availability of colors/sizes, pls go to https://img1.etsystatic.com/204/0/10472166/il_570xN.1303780367_5oyq.jpg Please note that monitors might display colors differently. 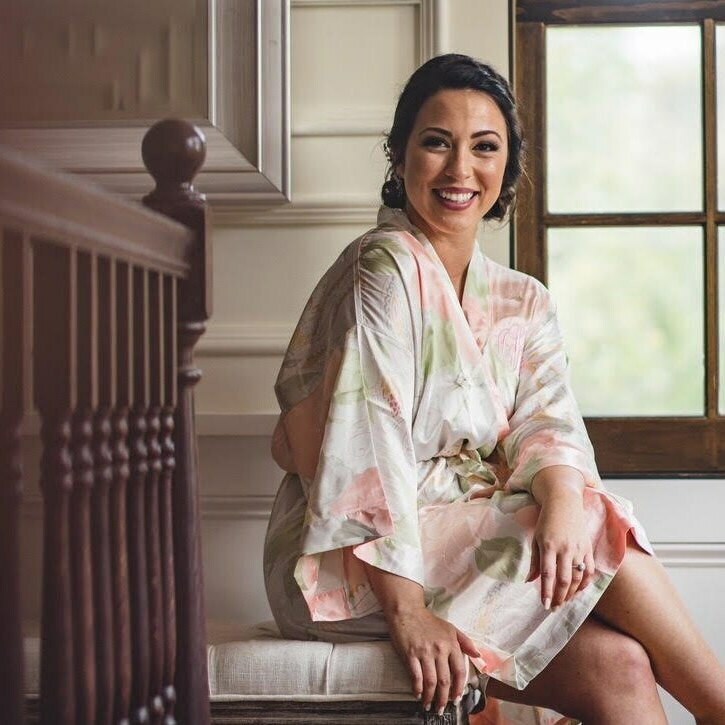 When in doubt, please send us a message and we'll send you an iphone photo of the robe with your thread selection. 4. Name or Monogram Initials* - Please make sure to write the monogram initials in the way you want it embroidered. It's usually in this order - FirstName, LASTNAME, MiddleName Initials. You can also choose to just have the first name initial or first name. If using sizes other than One Size, please write the sizes next to the initials/name. Please write the age or size for child robes as well next to the names if ordering flower girl robes. For tips on the monogram initials, please see the monogram section below. 5. 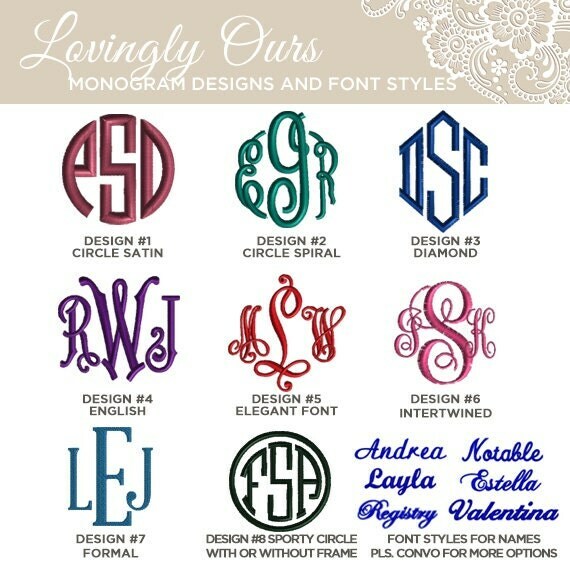 Monogram Design or Font Option - Please go to https://img1.etsystatic.com/120/0/10472166/il_570xN.922452599_6puv.jpg to view the different monogram designs or font styles. a. One Size fits most or Large. Fits women up to size 16. If size is not mentioned in the order, the default size that will be used for your order is One Size. Length is 37" and 49.5" sweep. c. Plus size - Fits up to size 22. Length is 39" and 55" sweep. Gift wrapping is an add-on service. Item will placed inside a paper gift bag with tissues. Let us know if you prefer another kind of wrapping. Special offer details: 10% OFF ON ALL ITEMS! THE BEST seller! Excellent communication and customer service. I had a custom embroidery order, and the seller 100% accommodated me. The actual product and production time were exactly what was pictured and described. Thank you so much! The robes turned out exactly as I imagined. Bought for a girls weekend - we can’t wait to use them! We welcome rush orders. Please send us a message first so we can check if we can accommodate your request. We charge a rush order fee for orders that need to be shipped within 3 business days.